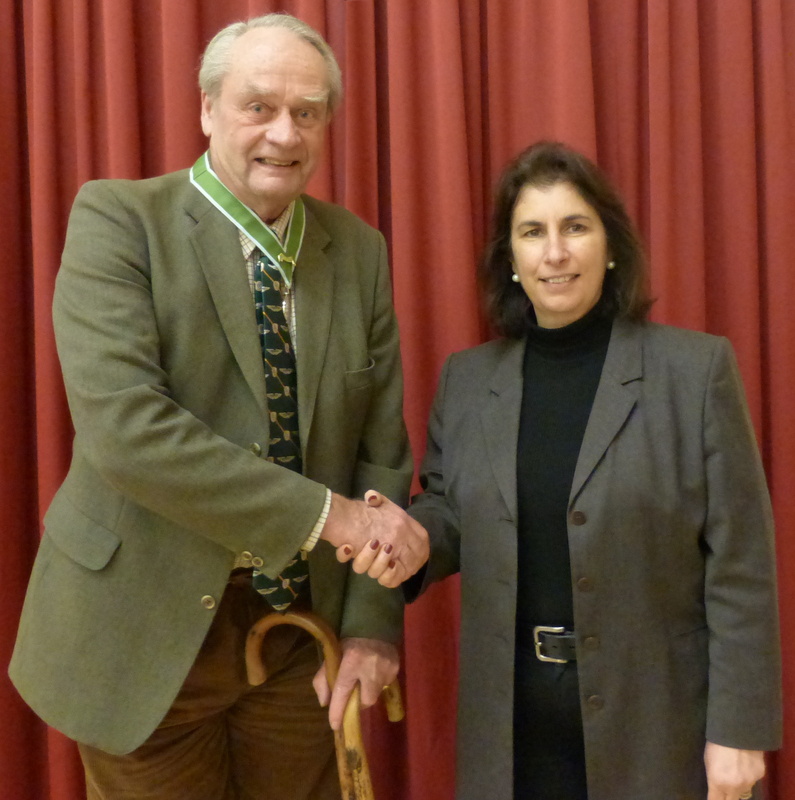 The new Melplash Agricultural Society President for 2015 is Richard Campbell OBE. Richard was a pig farmer at Beerland Farm, Whitchurch for 25 years and for a period at North Dibberford Farm, Mosterton. Richard and his wife, Pippin, now live in Evershot. He was awarded an Officer of the Order of the British Empire (OBE) in 2007 for his services to the pig industry. He had been involved with the NFU on the National Pig Committee for years, was the Chairman of the Assured British Pigs scheme, which aims to maintain the quality of British Pork, was Chairman of a Farmer’s co-operative (Dorset Quality Pigs) and was the first Chairman of The British Pig Executive, BPEX. Richard was elected as President at the Melplash Agricultural Society’s Annual General Meeting where he received his chain of office from the 2014 President, Helen Carless. Discover Farming classroom on the move!